The number of high school referees and sports officials is diminishing around the United States of America. This is a major threat to the interscholastic sports in the U.S., which form a fundamental part of the American culture. The impact is felt by the various sports courts and fields in America as reported by national experts. 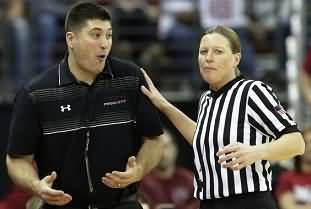 When it comes to the dwindling number of athletics officials in the nation, there are now only a total of 300,000 to 350,000 high school officials in America. Among these, in Tennessee, there was a reduction of officials from 2015 as the state recorded 4,500 officials in 2016. In Nevada, the officials came down to 812 in 2016 from 1300 in 2015. 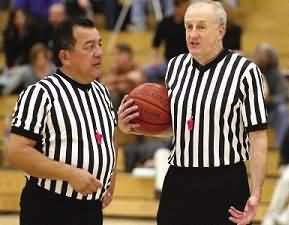 Similarly, Kansas had 2,027 basketball referees in 2013, which came down to 1,887 in 2015. And, Oregon reported a 12% decline in sports officials in the last 3 years. These alarming statistics have inflicted the renowned U.S. agency that supervises high school sports to make efforts in emergency recruitments of athletic officials in schools in order to overturn the fall in numbers. The sister agency of New York followed the same by posting a full-page advertisement in the local newspaper. The growth of abuse culture faced by officials across all sports: Owing to the negative environment, which is increasing rapidly, it has become really hard to recruit new sports officials. Every year, the physical and verbal abuse from fans reaches a new high. Moreover, the number one reason that has made sports officials leave the field is the poor behavior of the audience. It is reported that 85.7% of the sports officials would rather cease their presiding services if the environment gets worse. Background checks: One of the other reasons why it has been tough to employ new officials is owing to the background check policy. Although it has been only implemented in Tennessee in November 2015, it can be put into practice in other states as well. According to this policy, the sports officials have to pay a fee ranging from $5 to $35 in order to get their criminal background analysis, which is done every year so that they can maintain their incumbency. Problems in catapulting to a higher level: High school officials have very few opportunities to get to a higher or college level. This thwarts the recruitment of new officials since the younger referees spend around 5 to 15 years in high school. Moreover, there are a limited number of vacant positions for college sports officials every year. Another key issue is that older sports officials retire and they are not replaced by younger officials. For instance, the median age of softball umpires in Kansas is 60, a number only increasing each year. This inability to attract younger adults to become athletic officials hints at the rising catastrophe occurring all across America. In fact, many organizations feel that soon athletic departments and state organizations will need to make significant changes in order to attract the younger population. Many coaches and current officials agree, saying the sooner the better. The average pay per year for a full-time sports official is $24,870. And, when it comes to the salary for per game, it ranges between $35 and $91 as per the location and the type of sport. This should be augmented drastically. High school sports and athletics have taken a dramatic hit owing to the shrinking pool of sports officials. There are fewer games for every sport in every season. The games are often rescheduled in order to ensure that there are a sufficient number of officials at every game. This, in turn, results in less number of officials managing games as opposed to the number mentioned in the guidelines. Sub-varsity teams are aborted completely at a few schools since the officials are first assigned to varsity games. Therefore, in case of shortage of officials, the smaller level sports are affected. A few sports have become almost extinct from school districts owing to lack of sports officials, such as is in the case of high school soccer teams in Florida. The Tennessee Secondary School Athletic Association Committee aims to work with experts in this field so that they can hip to the needs of younger officials. The Wisconsin Interscholastic Athletics Association gave away the sportsmanship rules once again in early 2016, which included creating a positive environment at athletic events in high schools, encouraging correct sportsmanship, and banning disrespecting chants. The National Association of Sports Officials provided insurance for officials assaulted by spectators as well as backed the legislation in 20 states so as to raise the punishment for misbehaving fans. Thus, if proper measures are taken by other sports associations as well, like the preceding ones the status quo of declining high school sports officials can certainly be improved. Otherwise, sports in America will slowly head toward their doom.